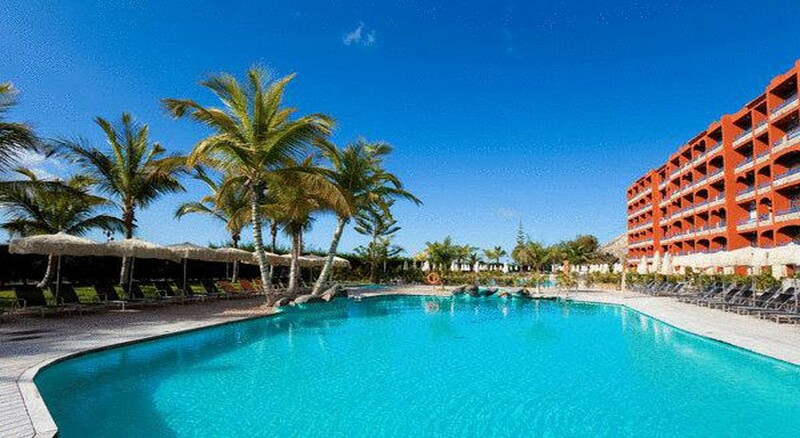 A luxury beachfront hotel that’s ideal for families, couples and honeymooners, Hotel Labranda Riviera Marina is a 4-star property located in Playa de Cura in the south of Gran Canaria. 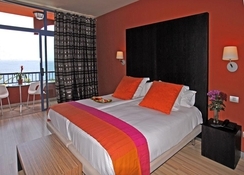 The hotel features 125 well-furnished rooms and suites that impress guests with plush accommodation and amazing views of the Atlantic Ocean. 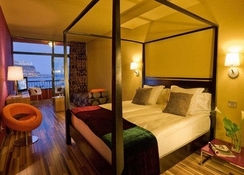 There are also specially designed suites for disabled guests. Buffet style breakfast, lunch and dinner served at the onsite restaurant include a wide range of local and international dishes. At the pool bar, you can savour alcoholic and non-alcoholic drinks as well as scrumptious light meals, while the bar saloon offers a range of international drinks and cocktails. Hotel Labranda Riviera Marina offers a swimming pool with sunbeds and umbrellas, sauna, gym, massages, sports activities, live music and evening entertainment provide the perfect recreation for adults, while children can have their share of enjoyment at the kids’ pool, mini club and kids’ disco. If you’re looking for fun outside the hotel premises, the beach is just a stone’s throw away. Hotel Labranda Riviera Marina is located in Playa de Cura in Gran Canaria at the edge of the sea, which makes the beach just 20 metres from the property. The town of Puerto Mogan is located around 4km away. The Anfi Tauro golf course located just 2km from the hotel, while the town centre with shops and restaurants are around 200 metres away. The Gran Canaria Airport is located 50km from the hotel. In its 125 rooms and suites spread over five floors, Hotel Labranda Riviera Marina offers all modern amenities to ensure a comfortable stay. 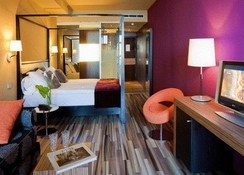 There are five broad categories of rooms: Standard Double Room, Junior Suites and Magnum Suites. 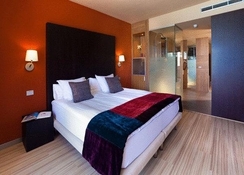 The hotel also offers four specially designed suites for guests with disabilities. All of these rooms are well furnished with a private balcony/terrace that offers sea views, mini Fridge, air conditioners, safety deposit box, satellite TV, en-suite bathroom, hair dryers and more. The suites come with fully equipped kitchenettes. The main restaurant at the Labranda Hotel serves buffet breakfast, lunch and dinner. The menus range from local delights to international cuisines. It also features a pizza-pasta corner and show cooking facility. The poolside bar serves cold and warm snacks, cocktails, coffee and more. The Labranda Bar Saloon offers a selection of international drinks and delightful cocktails. 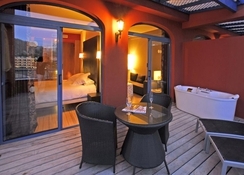 Hotel Labranda Riviera Marina is a true holiday gem. You get to enjoy in swimming pools (heated in winter) that come with solarium, sunbeds, pool towels and umbrellas. The in-house wellness centre is a perfect excuse to rejuvenate yourself. It offers sauna, massages and a well-equipped gym. Gaming and sports enthusiasts can go for volleyball, table tennis, billiards and darts. The pools also facilitate water polo and water gymnasium. Evenings at Labranda Rivera see entertainment shows, live music and DJ performances. Young guests can let off steam at the kids’ pool, the playground, mini club or kids’ disco. Couldn't ask for a better hotel. Friendly staff, nice and fresh food. Plenty of beds around the pool and a play area for the smaller ones. All inclusive was well worth it, although we ventured out to a small local bar to watch the football, you could easily have stayed at the hotel for the entertainment. We had a lovely stay at this hotel. The rooms were lovely and the hotel was clean. The food was amazing with a great variety every day. The only downside is that the bar is not fully inclusive as you have to pay extra for the majority of the drinks. Only a few alcoholic drinks are included in the all inclusive package which we wasn’t aware of before arriving at this hotel.